Interactive Health meets Barbie « They Said What? Probably the easiest $1040 ($20/week for 52 weeks) anyone ever made, so I think this person owes a debt of gratitude to Interactive Health. I just completed my Interactive Health health assessment. I didn’t want to, but $20 a week off my insurance premium is $20 a week. I entered 80 pounds and a waist circumference of 15 inches, because it’s none of their business. My dashboard says my BMI is “Underweight” (no kidding! 5’8” and 80 lbs!) but my waist circumference is “Healthy Range”. If I was a living Barbie doll maybe! I don’t think even Scarlett O’Hara had a waist that tiny. Yes, Interactive Health is wrong, as is their wont. This time it’s because someone who weighs 80 pounds and is 5’8″ is not in a “healthy range” and should be referred for medical assistance immediately. The irony, of course, is that Interactive Health loves to send employees to the doctor, bragging about their 45% rate of “newly discovered conditions” that need medical attention, following one of their hyperdiagnostic screening crusades. And, yet here is someone screaming for medical attention, but frankly, Scarlett, Interactive Health doesn’t give a damn. Addendum: Someone asked me: “Why don’t the grownups do something about these people?” The answer is they are: “doing something” The NCQA is giving them highest honors. 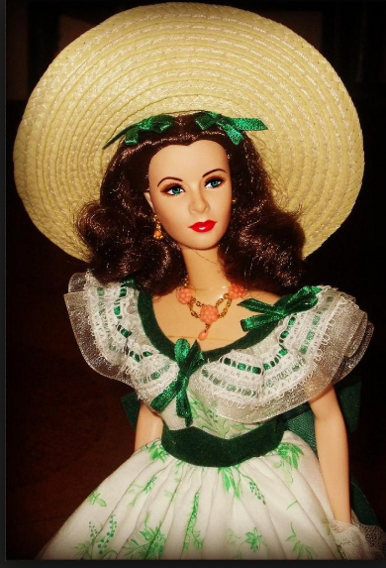 PS Yes, there is a thing called a Scarlett O’Hara Barbie. By whynobodybelievesthenumbers in health risk assessments on September 26, 2018 . Irony is definitely lost on this industry. Amazing letter! She could die from this. She can still write well. I have many contacts in the field of eating disorders, and many say their anorexic patients get congratulated frequently. And they are all thinner than Barbie.